Our Saskatoon IT Tips are from the Trusted professionals at Burnt Orange Solutions. We promise to have a one-hour response time for all your Saskatoon IT support needs. Honesty and respect are important to us. In our latest IT Expert tip Article, we discuss misconceptions about telecommuting. Common Myths, Mistakes, and Misconceptions About Allowing Your Employees To Work From Home Telecommuting. Telecommuting has grown at a steady 3% per year for more than 15 years. Currently, more than 23 million people are working from home at least one day a week. The increase in teleworking programs is no accident – it really IS working. Admittedly, original telecommuting experiments were “do-gooder” projects focused on being earth-friendly and generating business savings by reducing the use of high priced big city office space. However, when businesses started seeing how it drastically improved turnover and productivity, this “fad” became a hot trend. 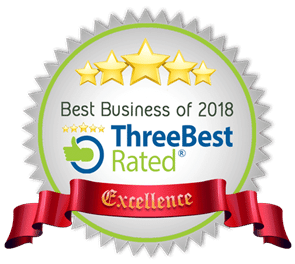 The experiment worked and within a year the turnover rate was cut to nearly zero and to everyone’s surprise productivity went up 18% saving the regional bank more than $3 million dollars per year!! Since then there have been numerous, well documented, program studies reflecting promising results. For instance, AT&T allowed employees to telecommute on a regular basis from home in a New Jersey office of 600 people. Over a 5 year period, a region of AT&T saved more than $11 million annually. Half the savings came from real estate savings while the other came from a measured increase in incremental work hours from employees who were able to have a higher level of concentration with fewer interruptions. 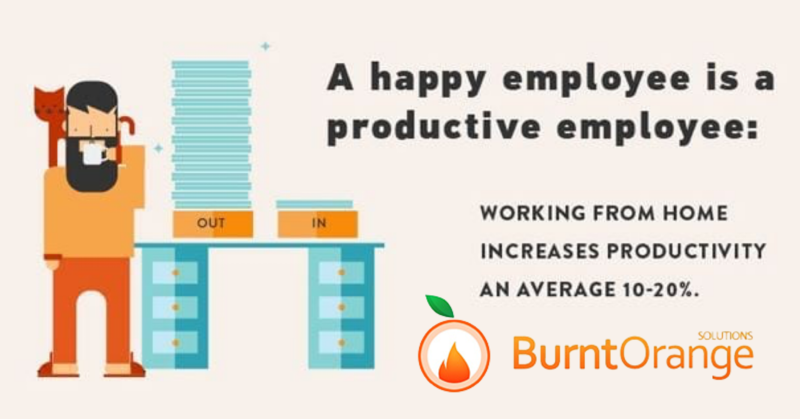 On average, small businesses report saving $85,000 to $93,000 per year in lower turnover, reduced operating costs (gas, utilities, office space) and increased productivity after implementing teleworking programs. What Is The Most Important Thing You Must Have In Place Before Starting A Telecommuting Program Or Setting Up Remote Access? Telecommuting might not be right for every employee on staff ( see the graphic for stats), but it is a great option (and reward) for key managers or employees who are self-motivated and measured by results rather than hours worked. Before you go “whole hog” with a telecommuting or remote access, we recommend conducting a small test where you (and possibly a few key managers) are set up to work from home. Or, you can simply allow employees to use it while travelling or if they are forced to stay home to take care of a child, on a snow day, etc. But the single most important thing for you to do first is finding a very experienced IT consultant who will recommend and implement the right technology to support YOUR specific situation and needs. This is unbelievably important to avoid expensive mistakes and unnecessary frustration. 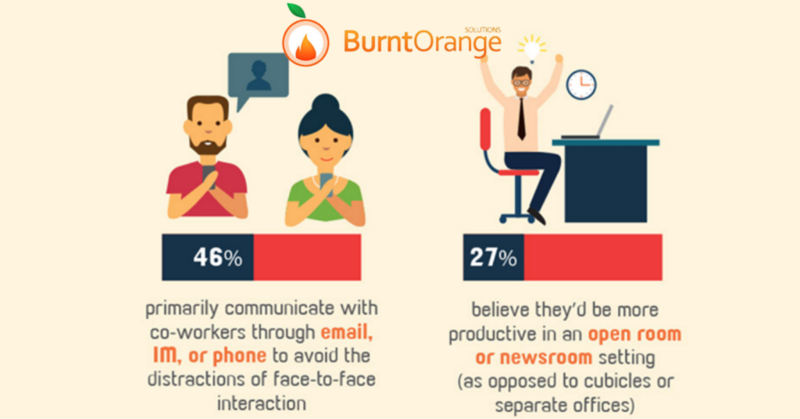 Why Choose Burnt Orange to set up your remote office technology?